One was the drug-trafficking leader of a South American death squad. 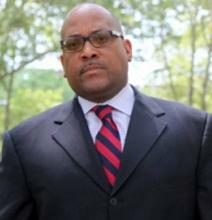 The other is a former airline baggage handler now serving a life sentence for drug running. New York-based Realtor, Ed Ahmad on Wednesday, October 10, pleaded guilty to mortgage fraud and could face up to 13 years imprisonment. 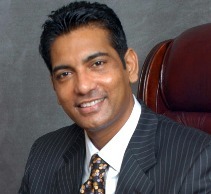 President Bharrat Jagdeo’s office has defended sourcing 29 tons of building materials from his friend, New York realtor Ed Ahmad, who has been indicted by the Federal Bureau of Investigators for fraud. 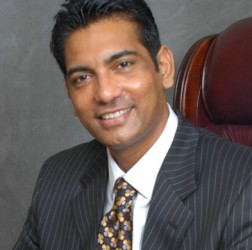 A federal grand jury in Brooklyn has returned an indictment charging the defendant Edul Ahmad with participating in a mortgage fraud scheme in which he and others fraudulently obtained more than $50 million in loans, the Federal Bureau of Investigation (FBI) said Friday August 19, 2011..
President Bharrat Jagdeo has acknowledged being Ahmad’s friend for several years now. And Presidential candidate for the Alliance For Change (AFC), Khemraj has publicly admitted introducing Ahmad to the governing Peoples Progressive Party (PPP) several years ago. Both local politicians have basically said that if he has committed a crime he must face the law. The PPP has publicly denied that Ahmad has not helped to finance the 2011 general election campaign.